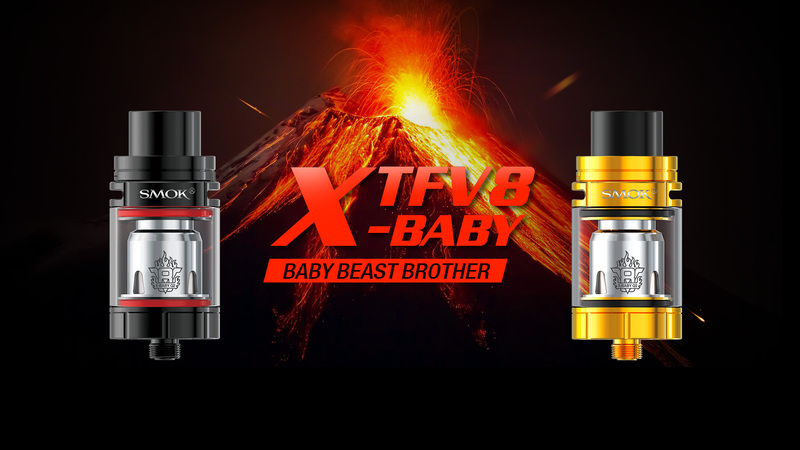 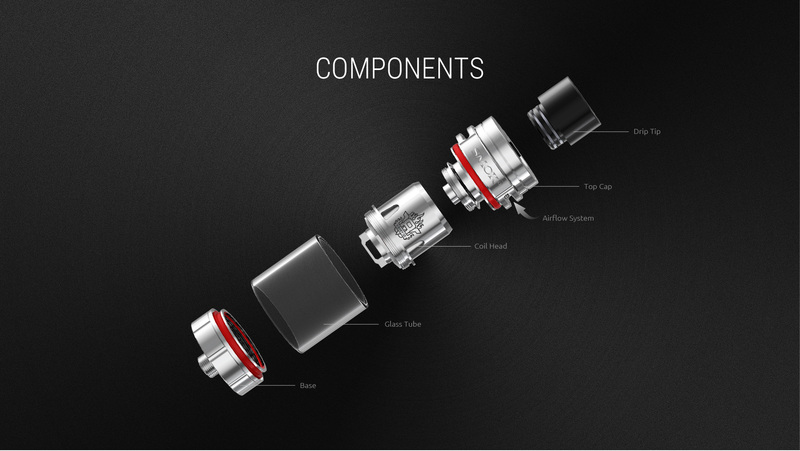 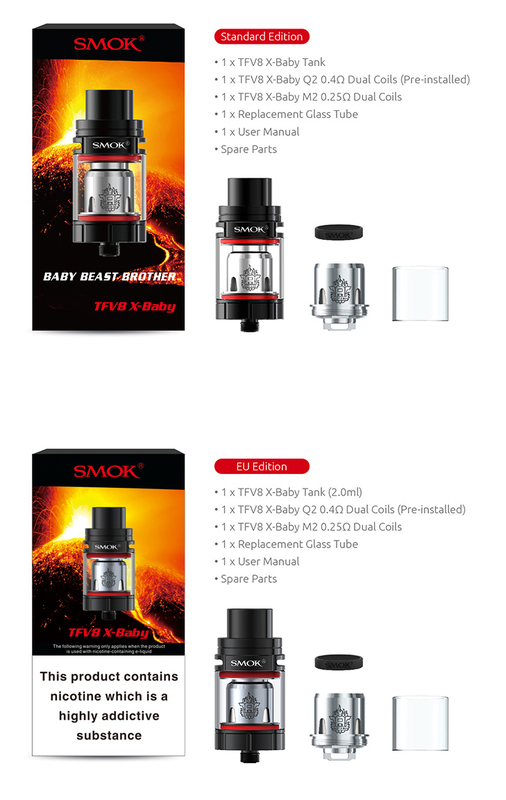 The SMOK TFV8 X-Baby Tank features a brand-new coil structure with a leak-proof air flow system. 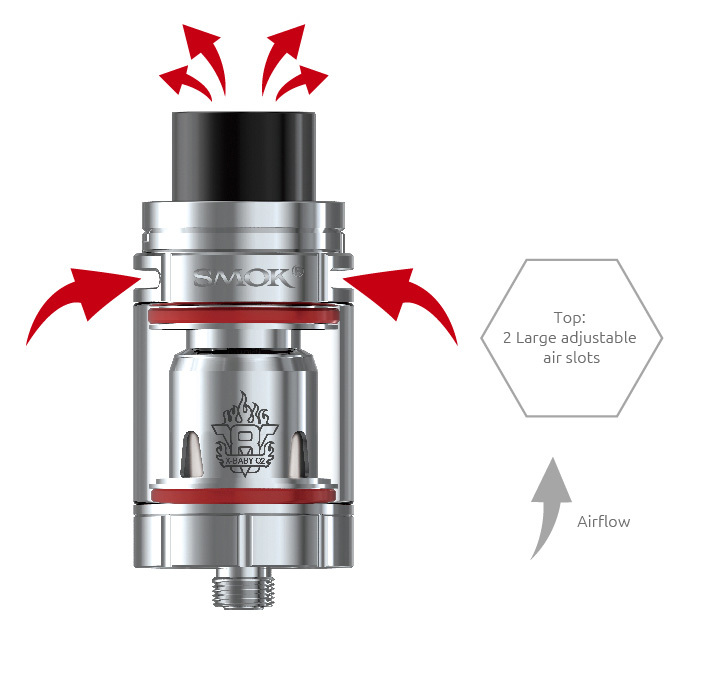 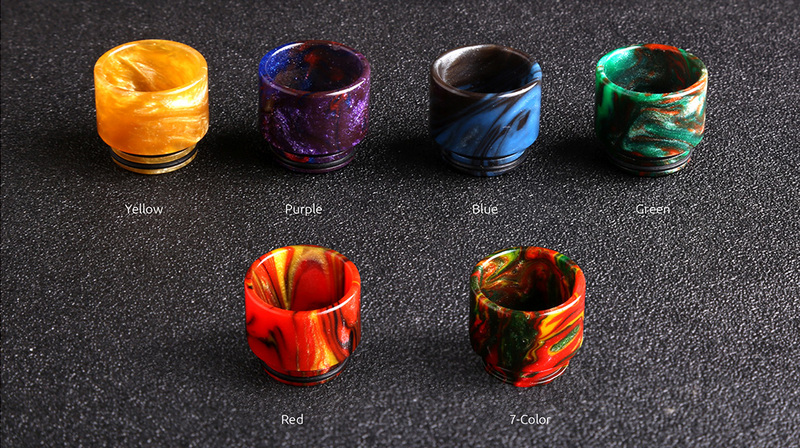 The Tank measures 24.5mm in diameter with 33%increase in e- juice capacity leading to the 4ml reservoir. 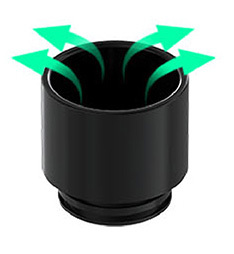 Ergonomically designed with hinge and lock mechanism for convenient refills. 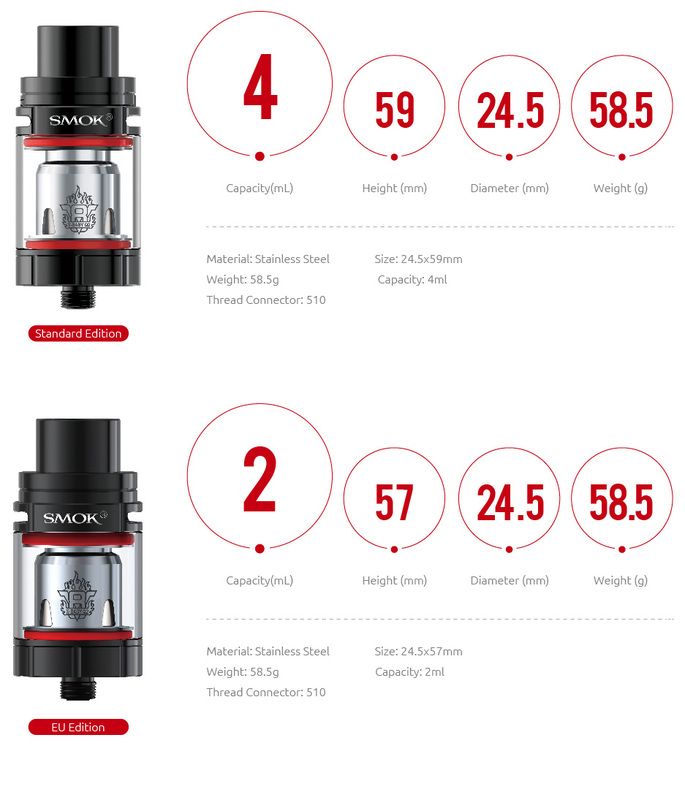 The tank offers impressive top-airflow system, integrating two large adjustable air slots which ensure atomizer chamber for a leak-proof design and enhanced flavor. 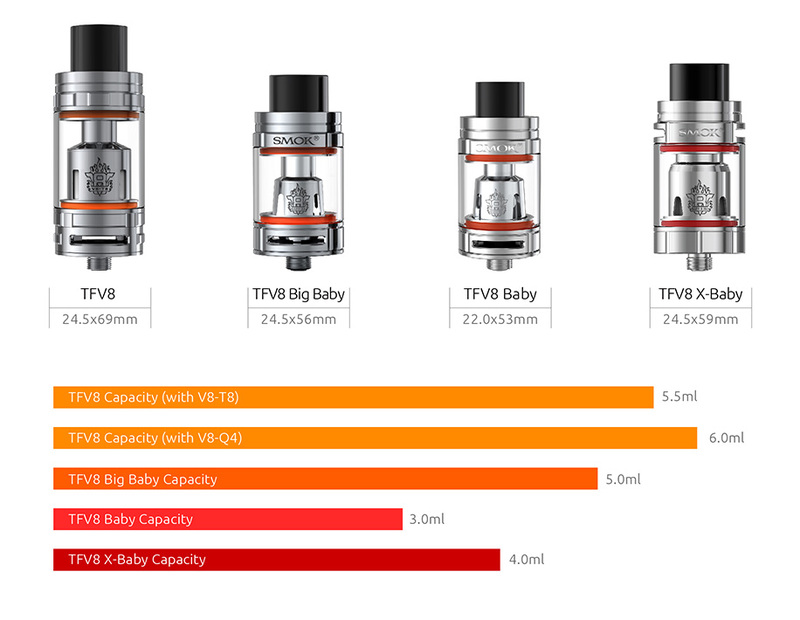 The new Baby Coil Family has been redesigned with the aim to provide unmatchable capability and faster saturation process. 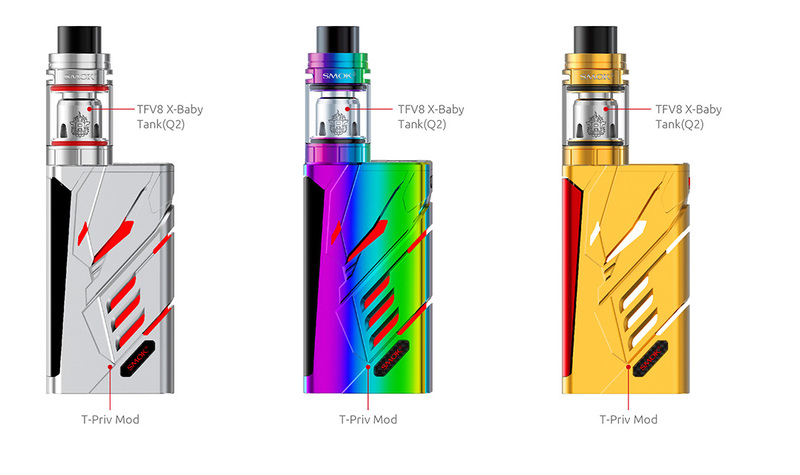 It delivers smooth performance within the range of 40W to 80W power output and also compatible with SMOK Stick and Pens. 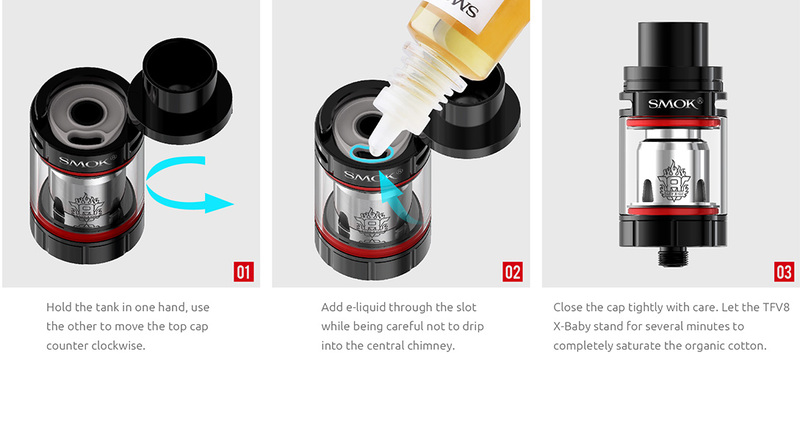 SMOK presents this as an engineering marvel in the vaping industry.